Here at Sleepy’s Toowoomba, our focus is on providing exceptional service while fitting our customers to their perfect right mattress. 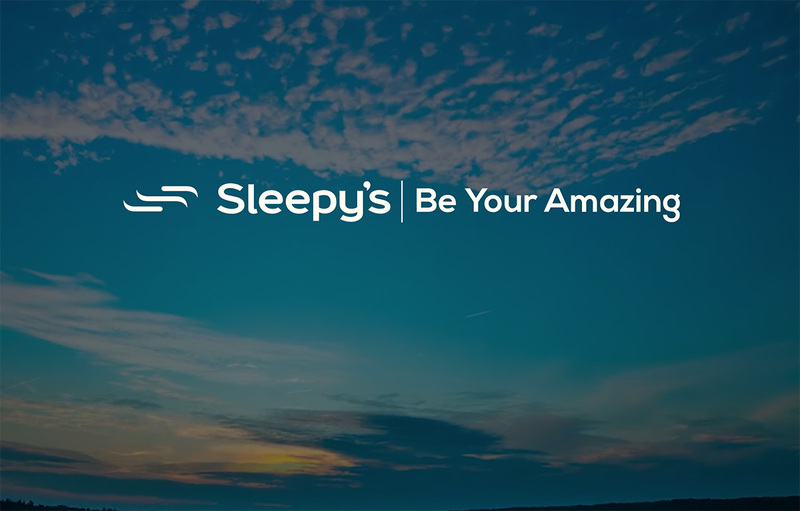 Sleepy’s products are Australian made and our mattress experts have worked to curate a catalogue of the best mattresses, bedheads, bases and bedding available. We have our own exclusive range of chiropractic mattresses which are tested and endorsed by the Chiropractors’ Association of Australia. Visit the friendly team at Sleepy’s Toowoomba— there’s no better time to invest in a better night’s sleep so you can be your amazing! I purchased a mattress on Saturday morning at Grand Central when Sleepy’s Toowoomba were holding their plaza sale. I wanted to note my appreciation of the service I received. The staff were extremely helpful and very approachable. They are great ambassadors for your company. Special thanks to the staff at Sleepy’s Toowoomba and their professional customer service in helping us to select a mattress for our special needs. We recommend Sleepy’s to all our friends, knowing they won’t be disappointed. Thanks for your service and assistance. I know you needed a good dose of patience with us!!! We are liking our beds much better. James tells me his is more comfortable that mine, so this is good news indeed! Many Thanks! Just wanted to write a short note to say thank you for your wonderful service regarding the Chiro Support Queen size mattress we recently purchased from your store. Your assistance and advice on purchasing this mattress for my husband was outstanding… so much so that I didn’t even have to visit the store! Switching from a waterbed to a traditional mattress has been no drama whatsoever. You’ll be pleased to know after all that reluctance, my husband loves his new mattress and is sleeping soundly! Just a quick note to thank you all for helping us find our perfect bed. Excellent, THANK YOU! I arrived late on a Sunday six months ago, but Sleepy’s made me feel really comfortable even though closing time was approaching. They showed me several mattresses in my price range and encouraged me to test each. There was no sense of rush and I found a beautiful mattress that was really comfortable. They sorted out delivery within a few minutes and suggested I put a sheet or blanket over my antique spring base so that it didn’t damage the new mattress. The next morning, a friendly local delivery team brought the mattress on time, no waiting. My first purchase has allowed me the best sleep ever — supportive but with a lovely soft top. Love that mattress! So I came back this week to buy an identical model for my guest bedroom. I have checked prices at other big names, but comfort, quality, excellent service and local delivery on time put Sleepy’s way ahead of the other businesses in SE QLD. Don’t travel around trying to find the best, it is in Toowoomba! Thanks team Sleepy’s! My thanks to you and your staff for such a personable and helpful mattress purchasing experience. My requirements were rather humble but required several visits, as the spare room for which I needed a mattress is small and awkward. I suspect that at most stores my measuring to the centimetre would have been regarded as somewhat absurd. However, each time I was at Sleepy’s, I was treated wonderfully. Moreover, everyone I encountered is not only knowledgeable of their product but also smiles and is just plain nice! A happy holiday season to you and all at Sleepy’s! Thank you for not only selling me my new bed, but for taking the time to give me a follow up call after the sale. Your professional salesmanship was appreciated. I am breaking in the mattress nicely, as my back is a lot more supported. I would just like to comment on the excellent and friendly service we received from your staff. They knew the products well and were so helpful and friendly. You have a great sales team in Toowoomba. Thanks to the whole team. All the staff at Sleepy’s Toowoomba were friendly and understanding. Thanks again for all your help! After travelling 2.5 hours and visiting many stores to buy a new mattress, I can’t thank Sleepy’s Toowoomba enough for their outstanding customer service and patience while we picked out our new mattress. Your knowledge and recommendations were truly helpful, while I’m sure we nearly would have driven you insane. Sleepy’s exceptional care didn’t stop once we bought our mattress. The amazing staff bent over backwards even after we’d left the store. THANK YOU for the great night’s sleep! We recently purchased a beautiful, unusual bedroom setting and mattress from Sleepy’s Toowoomba. We saw the setting at another store whilst we were away on holidays, so Sleepy’s tracked it down for us, ordered it and arranged delivery within a couple of weeks. Brilliant service; can highly recommend Sleepy’s Toowoomba. I recently purchased a bed from your Toowoomba store, where the sales consultant was knowledgeable about her products and was extremely helpful. She ensured that I chose a bed which best suited my sleeping style. My wife and I would like to take this opportunity to say what a pleasure it was to visit the Sleepy’s store in Toowoomba. You were very attentive to our needs, and we must say that we are extremely pleased with our purchases. My wife is very happy that she listened to you and purchased a pillow, as she now states that I am no longer snoring as much as I used to (not that I snored much in my opinion). We are both very pleased with the mattress. Thank you once again for your attention, and I must say that we will have no hesitation recommending your store to our friends. Great sleep starts with the team at Sleepy’s Toowoomba and their great products. Their enthusiasm to deliver attention to detail is great. The quality is what amazed us! Thanks to the team who helped find us a mattress that has allowed us to have a great night’s sleep. This company is by far the very best at what it does, and today my partner Pete and I met the cherry on the cake! The most experienced, knowledgeable, genuine and caring staff; you don’t often find that in shop service today. In all of our years of buying mattresses, we’ve never experienced such excellence and quality as we did today. Thank you so much. Your customer service is impeccable, you are the perfect store with the best customer service, and we are so glad you’re here in Toowoomba. Sleepy’s has the best deals. Knowing that you can return your mattress after 60 days is awesome, but the service is that bloody good I don’t think we will have to exchange our new mattress at all. They even go as far as pillow comfort, and the pillows perfectly fit too. The staff actually check your spinal alignment whilst lying down; they really know their stuff. I advise anyone wanting a new mattress to go and see the staff at Sleepy’s Toowoomba. You will kick yourself if you don’t. This place is a gold mine of comfort. It is not very often I take the time to write these, but I was so impressed with the service I received from your staff that I felt compelled. I was in the store a couple of months ago and I was served by one of your staff members. Not only was she extremely warm, helpful and accommodating at the time, but also in her follow-up calls post visit. Nothing was too much trouble, and the way she conducted herself made me feel that it wasn’t just about the sale, but that she genuinely cared about me and my needs as a customer. As a result, when I do purchase my new mattress, I will definitely be doing so through your store. Thank you for restoring my faith in customer service.